Jouvert fans and band lovers will now get an early opportunity to hear some of these bands in action and to also see how they themselves are shaping up with their dance moves. 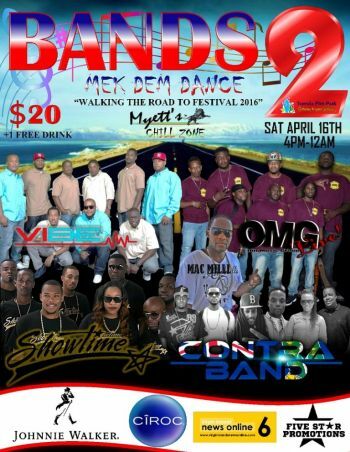 The event, slated for Saturday April 16, 2016 from 4pm to 12am at the Tortola Pier Park, is themed "Bands 2 Mek Dem Dance" and is being staged by Myett's Chill Zone, along with Five Star Promotions. “Festival is soon approaching and the bands are already launching their new songs for 2016. The bands confirmed for this event are VIBE, Showtime, OMG, and Contra Band which are all locally based bands. This event is not the normal club jam, it will be in nice up area with great ambience and the general public is invited to hear all the bands perform. Our sponsor Johnnie Walker has created a ‘walking the road to festival 2016’ concept and we have catch up with all the band leaders to inform us on their band journey,” according to a statement from Five Star Promotions. One of the bands confirmed for this event is the exciting OMG LIVE. The name came from one of the lead singers Mr Dante 'Pascal' Wattley as something catchy but still with a meaning, which is Our Music Group (OMG). “The band was formed by me in late 2014 from a former band which I was a part of named Caution band. 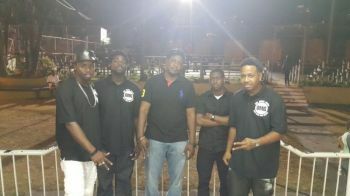 I added new members who are seasoned musicians, who also have the same goals as me. The band started in late 2014, October to be exact and this year will be 2 years the band has been around,” Mr Wattley said. 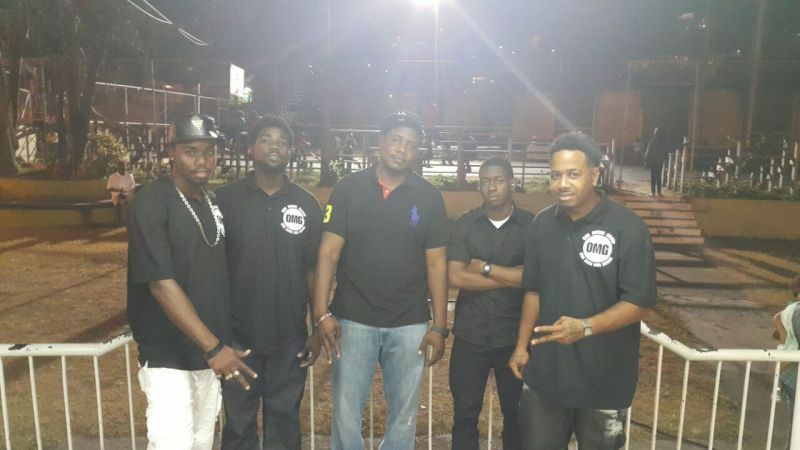 The band has 6 members: Jevaughn "JJ" Parson -lead singer, Dante 'Pascal' Wattley -lead singer, Khadin Fahie- lead singer, Marcus Mark aka Yungblood- keyboards, arranger and producer, Khari Fahie -bass guitarist , Ricky E. Conner- Rhythm Producer and Manager. The band so far has been building a solid fan base and has released a single and 2 live recordings via Sound Cloud. 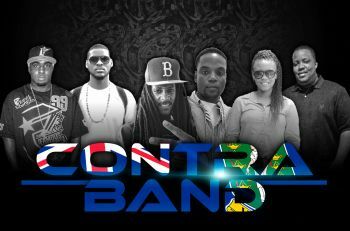 Contra Band formed in 2012. Due to circumstances of losing members to bigger and already established bands, Reynaldo Smith and Nathaniel 'Nats' Malonet were forced to start all over with a new team. The band now has 8 members, including the young Thea Cooke. Contra Band sees itself as a band yet to make its mark but is pleased that it has been getting the attention of many in a short space of time with its three singles and only 2 live performances since returning to music. For 2016, Contra Band's expectations are to be heard all over the VI and abroad so that it can establish itself amongst the elite bands in the territory. VIBE was formed in 2014 by different musicians that were previously apart of other bands in the past. They are 9 members currently in the band: Raul "Jougo" Sprauve – Vocals; Renrick "Mac Daddy" Massac – Vocals; Tiejie Henley – Vocals; LeeSean "Smudge" Smith - Programmer/Coordinator; Kerry Nichols - Key boards; Glenn Lamothe – Guitar; Zolan Brown - Bass Guitar; Ramon Sprauve - Sound Engineer; Roger Frank – Manager. VIBE has successfully competed and won 2 Road March titles with the song "Bubble" in 2014 and the song "Hand Clap" in 2015. VIBE’s expectations for 2016 are to put out great music and performances that are enjoyed and appreciated by all. The band released two songs from its upcoming album titled "LIVE". The first of the 2 songs released was "Eye contact" which is a song that takes one through the thoughts of when you make eye contact with a special someone. The second song is called "Fans" and was created with its supporters in mind. Showtime Band has become a household name, having won the Road March title a record 8 times. The band was formed by Ottley Hodge who went around and sourced young men within the territory to join. Apart from their Road March title collection, Showtime Band also received the ISA International Music Award for album of the year. Showtime said it is looking forward to making this year one of the best season for the band. It has released 2 songs for 2016, 00:45 seconds and Synergy, with others to be released shortly. All the same. What's different? Sound a like, playing the same line up. Hear one hear all....Strupes.. I'm old school only a good sweet playing brass band can get me out of my house..Sorry.. Best wishes. I do understand but the Bands has to understand from a cultural point that we here we have rise and shine not Jouvert. If we say we dealing culturally, smh them just not getting it and here is where i see our culture is lost for naming of the ad with Jouvert. Yawn first. All in one has a point.